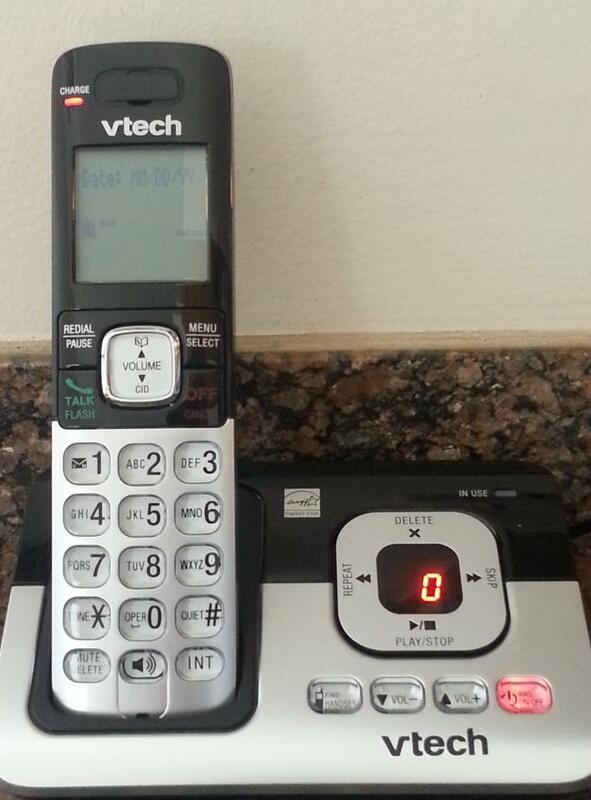 VTech is well known for their innovative products and their newest cordless phone, model CS6829, is no exception. With Quiet Mode, ECO Mode and DECT 6.0 for the best audio quality, this product offers consumers a dependable phone with loads of functionality at an economical price. It’s thin! This phone is smaller than my cable remote and really thin (check out the picture above). It can store 50 names/numbers in the phone book. I love being able to see who is calling so I can decide if I want to pick it up or not. The phone has an Energy Star label so I know that it is an energy efficient phone. I can talk on the phone without having to worry that I will hear interference on the line. There is a quiet mode so if I want to turn the ringer off it’s easy to do. The Digital Answering System is a nice feature and I love how high-tech this phone is. This phone can be purchased at Walmart. One reader will win a VTech cordless phone and a $100 Walmart gift card. Giveaway ends October 25, 2013 at 11:59pm Central time. Must be a US resident, 21 years or older to enter. Originally published on 2013-09-29 by Alicia Marie at Making Time For Mommy .